About one in 68 children has an autism spectrum disorder, according to the Centers for Disease Control and Prevention. 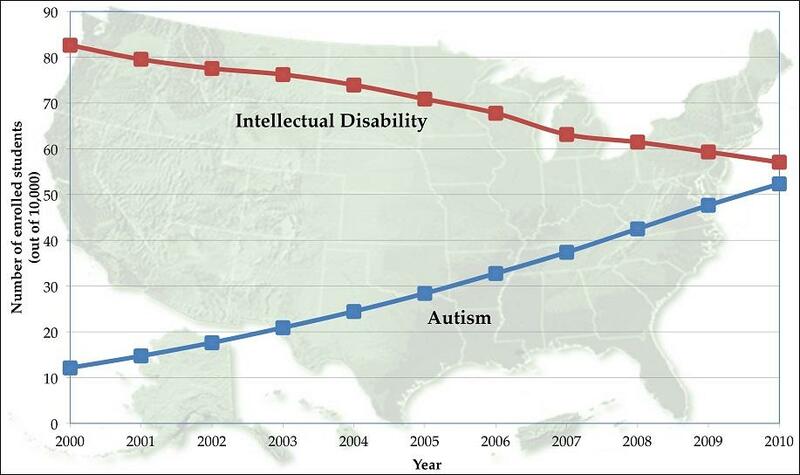 In a single decade ending 2010, autism diagnoses among special education students in the United States have increased more than three-fold. Since the overall proportion of Special Ed students has not increased, scientists at Penn State University conclude the increase in autism may be due to a recategorization of students who previously would have been diagnosed with other disability disorders. “Because features of neurodevelopmental disorders co-occur at such a high rate and there is so much individual variation in autism, diagnosis is greatly complicated,” Dr. Santhosh Girirajan, an assistant professor of biochemistry, molecular biology, and anthropology, stated in a press release. This, he said, affects the perceived prevalence of autism and related disorders. Enacted in 1975, the Individuals with Disabilities Education Act (IDEA) ensures school services for children with disabilities. Under IDEA, children are categorized into just one of 13 total disability categories: intellectual disability, specific learning disability, developmental delay, other health impairments, emotional disturbance, speech and language impairments, multiple disorders, traumatic brain injuries, deaf-blindness, deafness, orthopedic impairments, hearing impairments, and visual impairments. How students are categorized varies widely across the nation, since not all school districts use the same criteria when classifying children. Seeing the rising prevalence of autism, some scientists and experts — including those who spoke to the Simons Foundation last year — have suggested greater awareness of the disorder is the likely explanation. The lines between diagnoses are blurry, as well, and many students do not fall into just one category. For instance, up to 68 percent of people with autism have features of intellectual disability, past research suggests. A child with both intellectual disability and autism could be categorized either way… do the latest numbers that highlight autism a simple case of displacement? To better understand autism prevalence, Girirajan and his colleagues systematically analyzed 11 years (2000 through 2010) of special education data on an average of 6.2 million children each year. They found the overall proportion of children in special education during that period remained consistent. However, compared to 2000, more than three times the number of children had been categorized as autistic in 2010. Nearly 65 percent of this increase could be accounted for by a reduction in the number of children classified in the intellectual disability category, the researchers say. Meanwhile, the emotional disturbance category showed a 22 percent decrease, while specific learning disability plummeted by 19 percent. Autism, the researchers suggest, displaced these other categories. As some might predict, some states showed a greater shift than others. “These results potentially reflect differences in state specific policies for ascertainment of children under special education,” wrote the authors. Classifications also varied a great deal depending on age, the team noted. 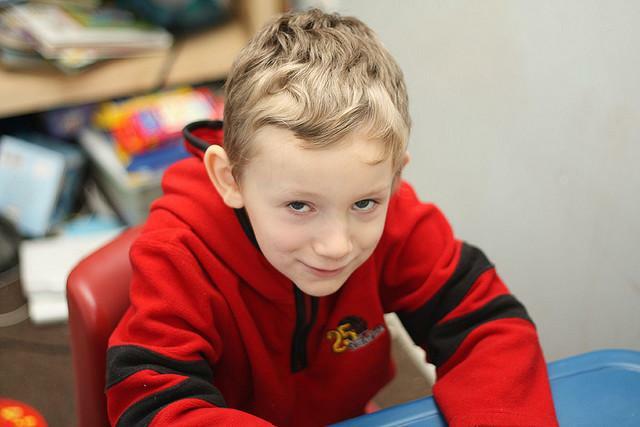 For 8-year-olds, approximately 59 percent of the observed increase in autism could be accounted for by reclassification, but by age 15, reclassification accounted for as much as 97 percent of the increase in autism. Source: Polyak A, Kubina RM, Girirajan S. Comorbidity of intellectual disability confounds ascertainment of autism: implications for genetic diagnosis. American Journal of Medical Genetics. 2015.